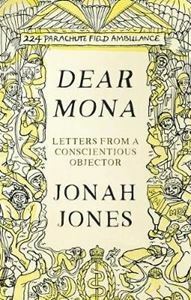 Dear Mona collects the letters of 20 year old working class Geordie Len Jones to his mentor and would-be partner Mona Lovell, a Quaker colleague who prompted Len's explorations of the arts and of social equality. Artist Jonah Jones records here in his own words not just the story of his early life and his relationship with Mona Lovell, but also that of the Second World War. Like a number of conscientious objectors Jonah became a non-arms bearing medic, and took part in the liberation of the Belsen concentration camp. After the war he was posted to Palestine, where he observed the issues surrounding the establishment of Israel. It was in Haifa that, much to Mona Lovell’s dismay, he met and married another woman – Judith Grossman – with whom he returned to Britain to set up as an artist. Dear Mona is a remarkable, immediate account: personal, intimate and yet also history, played out before his eyes.